Queens | Thanks a Glatt! This photo from above was seen at the Associated Supermarket is Queens. 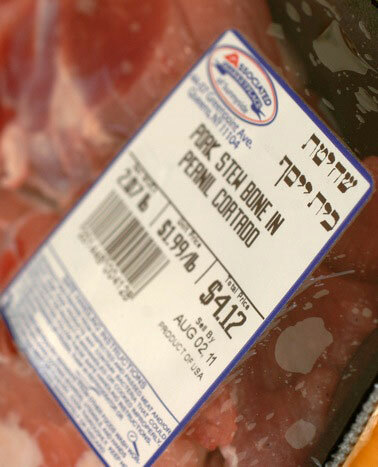 But if you want actual Kosher pork—pork spare ribs, pork cutlets, center-cut pork chops, all labeled in Hebrew “Sh’Chita K’shera Beit Yosef” (i.e., kosher)—you get that only in New York, only at the Associated Supermarket at 4407 Greenpoint Avenue, in Sunnyside, Queens, and only for a few hours today, between the time the Israeli artist Oded Hirsch snapped the above photo on his cell phone and it got forwarded to me, and the time I phoned Aris Duran, the supermarket manager, for an explanation. Subway on Jewel Avenue is no longer kosher? We are hearing rumors that the Subway on Jewel Avenue is no longer kosher. So if you stop by there and you see them serving Pepperoni and Cheese melts then assume the rumor is true. So sad to see it go but these Kosher Subways were never good to begin with! With all the holidays the past few weeks we haven’t had so much time lately to go out to dinner alone so last night we decided to grab a quick bite to eat. After careful deliberation (actually, first we wanted Grill Point, then Benny’s, then Cafe Muscat) we finally we decided to go to Carlos & Gabby’s in Queens on Main Street. We have been here before so we knew we would be satisfied. If you have a big appetite you should start off with an order of their chicken zingers. Breaded with what I believe to be corn flakes these tasty pre-dinner snacks will definately get your palete going. My wife ordered the Texas Wrangler Burger which is a definite must if you have never had their burgers. It combines onion rings, BBQ sauce, 6 ounce of meat and veggies. When these flavors come together it creates a great taste and for $8.95 its hard to find a better deal. Which brings me to what I had – the double burger. It has 2 four ounce patties with all the regular fixings. If you have never had Kosher mexican food then I would also highly recommend it as this is the best place to try it. Their burritos and tacos are spiced just right to give that spanish flavor and I recommend trying any one of their tacos or burritos. If you want to go on the light side, although largely portioned, get one of their salads. Half the restaurant seemed to have ordered one so they must be good. The service here is pretty friendly and quite fast, which are all rare atributes as we know in the Kosher world. Although CG falls under the “new age” generation of Kosher restaurants unlike the lame offerings we had in the past. Overall I highly recommend checking out C&G at anyone of their locations. Queens Colbeh is now closed! We have sad news for all the Kebab lovers in Queens! 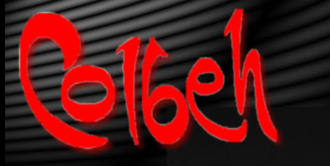 Per Great Kosher Restaurants magazine, Colbeh on Main Street is closed! Now you will have to schlep to Great Neck or Roslyn for their classic koobideh’s! Ok so last time I promised I would return to Benny’s to have a taste of their regular cheese slice. I also promised my fiance at that time (now my wife as of January 7th!!) that we would pig out after the wedding on a whole pie of pizza together. Today I fullfilled that promise. First off being the fatties that we were we ordered it before we got there so it would be funky fresh as soon as we walked in – and it was. And for one of the first times in a long time we didn’t panic and order a bunch of extra things like a side of spicy fries (mmmmm, spicy fries) or a falafel. We just focused on the pizza this time. The pie was pretty good (I had 3 4 slices), but not as good as Rosa’s in the city. So overall the pizza was better than say La pizzeria or Benjy’s but like I said not a Rosa’s. Rosa’s has them beat with better cheese. I think they might have messed up on the price because we got the pie and a bottle of Fresca for $14.50 which was an amazing deal! Was it mistake or a Wednesday night special? I’m not sure and we were too afraid to ask! Heres a tip: get a side of their creamy caeser dressing (even though I think it was 98% mayonnaise) to dip the crust in – it’s delicious! Def a top kosher pizza joint if you are ever looking to grab a quick slice! The worst almost happened. Here we were on a Saturday night, tired of eating meat for shabbat and then for lunch today and looking for somewhere dairy to go for dinner. What is our best location option? Ugh, Cafe Muscat. After about ten minutes I finally convince my fiance to go there. We arrive at around 10:00pm and what a surprise – the line is out the door. Did I forget to mention that it’s raining? So we make a reservation “it will only take twenty minutes” and coincidentally park the car in the same spot we sat last week – and we wait. Twenty minutes passes by and we decide to go in and see if our table is ready. It’s not. 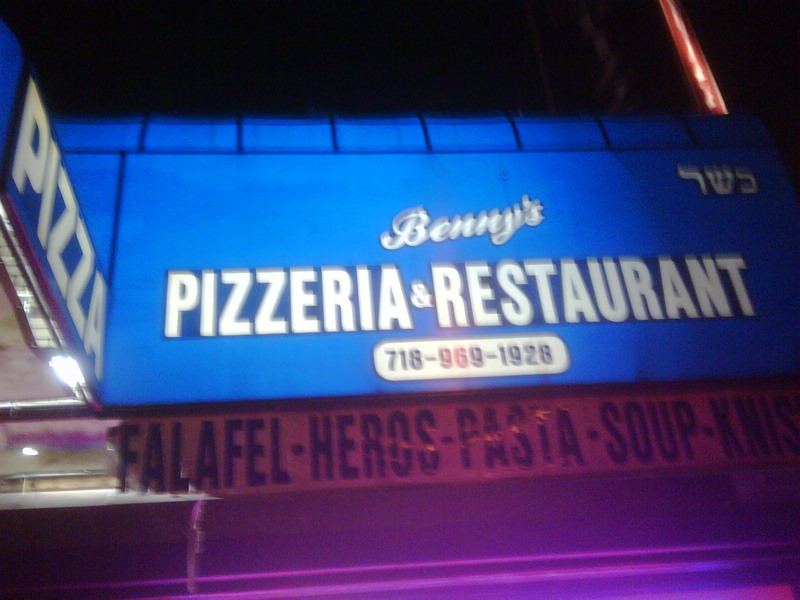 We float around and wait and finally decide to go down the street to Benny’s Pizza. A place that my fiance claimed had the best kosher pizza around. We leave and then we notice some people outside mentioning that they do not want to wait and leave themselves. The girls jump at this opportunity and start calculating if we can get in any faster. After hearing “they told us it would only be 20 minutes an hour ago” from some others waiting outside, I finally convince everyone to go to Benny’s. In an effort to be more social since life seems to be moving faster than ever, I have decided to go out more with old friends and family. The first place I started with was last night at Cafe Muscat a Kosher Dairy restaurant in Flushing Meadows (Queens) New York. Saturday nights at Cafe Muscat always seem like a mistake however our options for Kosher dairy are limited. When we arrived there we weren’t surprised. We had the choice of waiting at the door while hovering over peoples tables or just sitting in the car so we chose the ladder. About 30 minutes later they finally had a table for us. You should have seen the look on the other peoples faces when we walked right in and got a table!